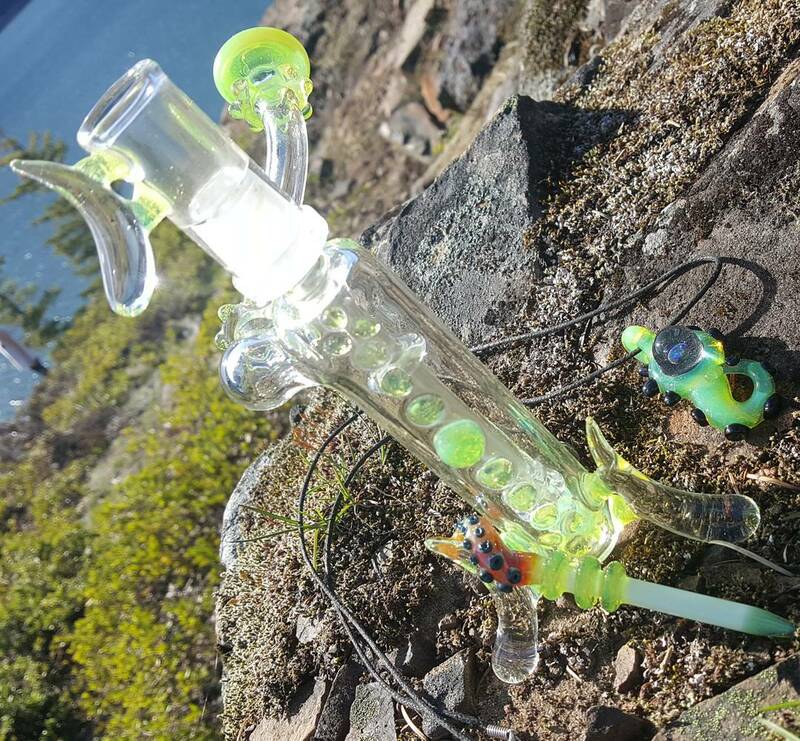 The green tentacle dabber is from ours here at instagram, @crooksglass as well as his signature tentacle pendy which is rocking a huge opal! I highly suggest checking crooks out, I love his work. Posted in UncategorizedTagged evrgreenthumb, InstagramBookmark the permalink.